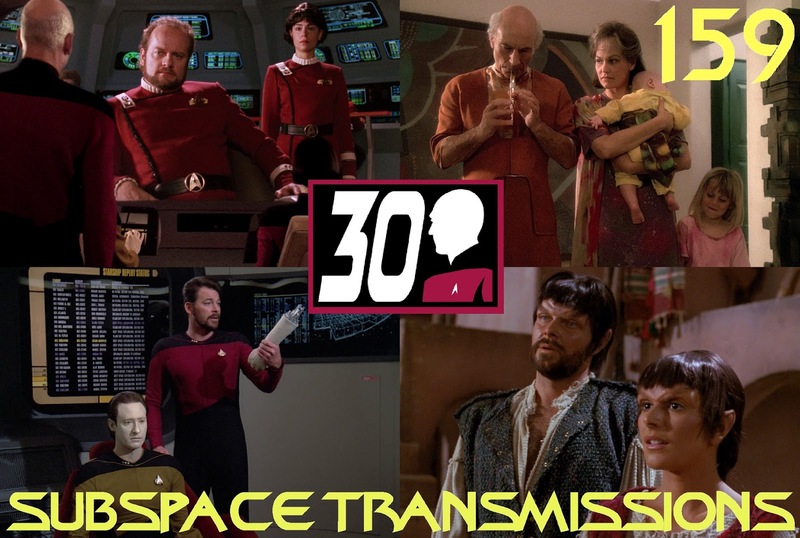 Subspace Transmissions: A Star Trek Podcast: #159 - TNG AT 30: THE GREATEST TREK? #159 - TNG AT 30: THE GREATEST TREK? Astonishing as it may be, it has now officially been three decades since Star Trek's beloved Next Generation made its modest debut with the feature-length adventure Encounter at Farpoint. Where in the name of Q does the time go? This week, in celebration of this momentous milestone, hosts Cam Smith and Tyler Orton take a deep dive into the iconic show's history, naming their top 5 quintessential episode picks and highlighting the characters, aliens and world-building that established it as one of the finest science-fiction ventures of all time. In addition, the duo also discuss the crew's unfortunate lack of firepower in the motion picture world, and consider what TNG truly means to the franchise as a whole. Plus, in a new bonus segment, the good ship Ortonville transmits his take on Command Performance, the second episode of Seth MacFarlane's polarizing new series The Orville. Wanna appear on the show? 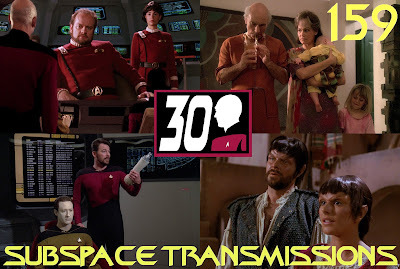 Shoot us a 30 to 60-second audio clip telling us your thoughts regarding TNG'S 30TH ANNIVERSARY and you could take the spotlight in an upcoming program! You can also send any other questions, topic ideas or feedback to subspacetransmissionspod@gmail.com! Join us next week as we witness the launch of Discovery!